Nobody can pass a tax law without creating victims and victors. 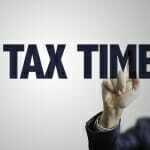 The changes to our tax code brought about by the recent Tax Cuts and Jobs Act (TCJA) highlight this. Gone will be the deductions for spousal support payments by the payor (in Virginia, usually the man), and the recipients (in Virginia, usually the woman) will not have to declare the payments as taxable income. Child support payments are also not deductible. That leaves unallocated support payments. How will they be affected, and how will payments affect your taxes? In Virginia, divorcing couples can opt to combine spousal support and child support payments into a third category, known either as unallocated support or family support. In this arrangement, the parent with the higher income will make monthly (or regular) payments to the parent with less income, but the money is not designated in specific amounts for the children or the spouse. Under the traditional spousal support and child support system, a Virginia man has no say in how the money he sends his ex-wife is used. That exclusionary practice continues under unallocated payments: she can spend the money however she needs each month, and you can say nothing about her spending habits. Many Virginia men may feel slighted in this, but the appeal of unallocated support payments lies not in the lumping together of money, but in the tax consequences. As experts at MarketWatch explained in a recent article, the new tax law tilts favorably toward wealthier Virginians, who have a new motivation to fight harder to lower their payments. Since the spousal support payments are not tax deductible starting in 2019, a wealthy divorcing Virginian will work hard to reduce those payments to a rock bottom level. In the same vein, child support payments are not deductible. 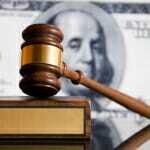 What is a wealthy, divorcing Virginia man to do? 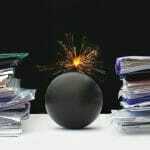 With a divorce attorney’s help, you may have already developed a strategy to make unallocated support payments that are deductible. For anyone contemplating divorce in the future, though, their deductibility disappears in 2019. The savings for a divorce decree signed before December 31, 2018 could be substantial, compared to signatures scrawled on New Year’s Day, 2019. According to the New York Times, about 20 percent of taxpayers claiming spousal support (alimony) are in the top 5 percent of earners. This is motivating many high-income Virginia men to complete their divorces this year. Child support is a moral and financial obligation; you two created your children and should pay your fair share in their upbringing, in proportion to your income. Most parents would be reluctant to negotiate to minimize support for their children. The custodial spouse is understood by Virginia courts to be taking the larger onus of care, so his or her portion of child support is smaller. You and your ex-wife need to work harmoniously to determine who claims the children as dependents (generally the advantage goes to the lower earner, with smaller income and custody) and who reaps the tax benefits of them, but you can try to negotiate. Spousal support is another matter. 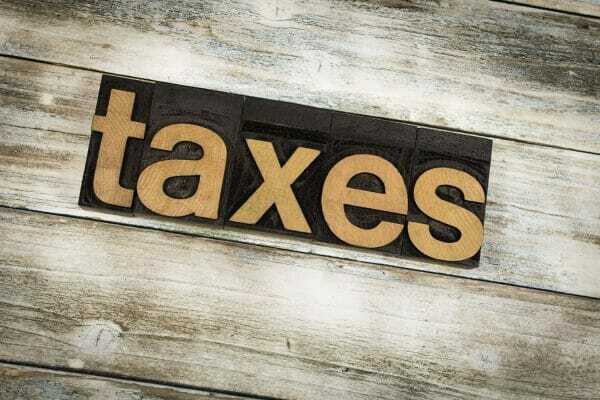 Here you, if you earn the larger income, can work more pointedly to reduce your outlays, since you lose tax incentives (deductibility) for spousal support, and the third option’s (unallocated payments) tax advantages disappear for 2019. You should work closely with your attorney to balance practical needs of your ex-wife with the tax consequences of those payments. For very wealthy Virginians, spousal support becomes a very thin, double-edged sword, since every push to reduce payments to your ex-wife may increase her desire to seek financial satisfaction elsewhere. For wealthier Virginia men, with fewer options to reduce the tax consequences of spousal support or unallocated support payments, some tax advisers and divorce experts suggest working to establish as tranquil and calm a relationship as possible with your spouse so that the divorce process yields the greatest possible financial advantages for both of you. For a wealthy Virginia man, this might mean making conciliatory concessions to your ex-wife to help yourself find financial havens, such as small-business investment and deductions in other areas. Property settlement agreements, for example, could provide genuine fiduciary advantages to your ex-wife so she has less need to negotiate against your wishes regarding other investments. Please reach out to The Firm For Men at 757-383-9184, or contact our offices online. We can help un-knot the knottiest problems with divorce, taxes, and support payments. We are ready to work for you, the men of Virginia, in any family law matter. 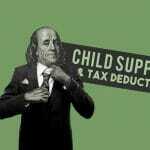 Is Child Support a Tax Deduction? 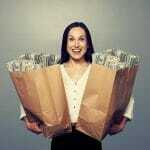 What is Lump Sum Spousal Support?